The recent discussion as to the likely date of formation of the Azure Window has created a desire to scour melitensia of all formatsfor clues. Further to the sources cited in the features in the Times of Malta on March 14 and 18, George Percy Badger’s book, written and published in 1838, (reprinted in facsimile edition by Valletta Publishing & Promotion Co. Ltd in 1989) after the author’s visit to Malta makes no reference to the Azure Window in the text. In the chapter on Gozo and specifically the section on the Dwejra area, there is a lengthy description of the General’s Rock and the fungus that grew on it, but nothing else. 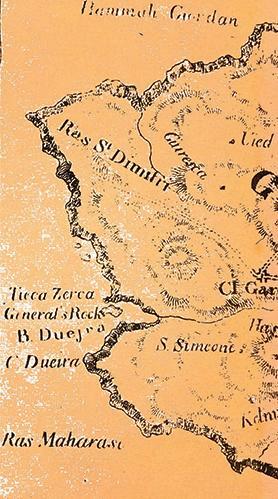 However, in the fold-out map of Malta and Gozo by Lui Brocktorff in the inside back cover of this book there is a specific reference to ‘Tieca Zerca’. This source might throw some more light on the obscure origins of it-Tieqa tad-Dwejra. It might also raise another conundrum – the Inland Sea is not depicted in this map.